The mid 19th century was an era of philosophical and scientific advance. The Naturalism fad possessed middle and upper classes with an obsession for paleontology, anatomy, and biology. During this time museums filled their archives with specimens from around the world, racing to accrue an esoteric collection of artifacts. However, most academic programs and scientific societies were open only to men, so women’s voices remained unknown and unpublished in the scientific world. Remarkably, in this era of male discovery, Anna Atkins, an artist, scientist, and photographer, was able to publish her book Sun Gardens, of which 13 rare copies presently exist. She was one of the first woman photographers to receive this sort of recognition. The New York Public Library is paying homage to Atkins’ study of the plant cosmos, and pairs her photographs with work of contemporary artists pursuing their interest in alternative photographic processes. The cyanotype was invented in 1842 by Sir John Herschel, a scientist and astronomer. 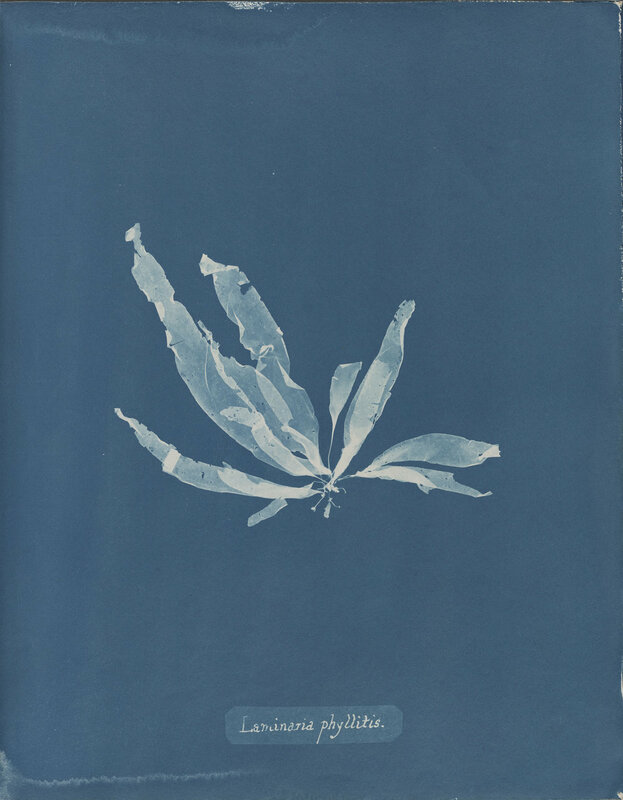 Among creating the first cyanotypes, Herschel also experimented with other methods like the Anthotype, which curiously involved a two to three week exposure to direct sunlight. Atkins was friends with Sir John Herschel, who introduced her to the medium of photography. 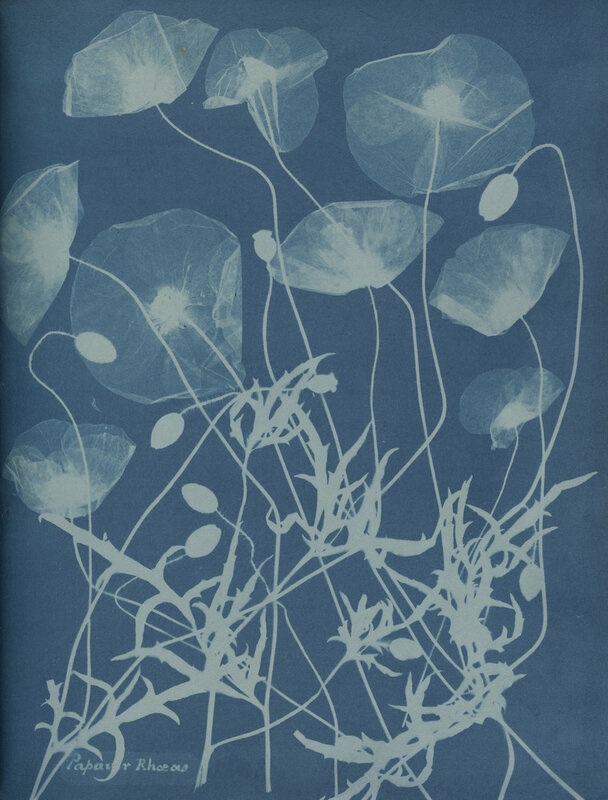 Her book Sun Gardens was the first to use cyanotypes in place of scientific drawings, and was created prior to Henry Fox Talbot's Pencil of Nature, a book historically credited as the first to have fulfilled this important achievement. “The plates of the present work are impressed by the agency of Light alone, without any aid whatever form the artist’s pencil.” Talbott writes. “They are the sun pictures themselves, and not, as some persons might have imagined, engravings in imitation.” Besides contributing to science, Atkins’s photographs also revolutionized the future of engineering and architecture the conception of which relies heavily on blueprints. Anna Atkins’ cyanotypes occupy a small, dimly lit room on the ground floor. The walls are clad with stunning, intricate prints of seaweed bathed in a dreamy blue cast. Their ghost like image crinkles and abstracts in an alien ultramarine world. One can almost sense the coolness of the water, the tranquil swaying of their long green tendrils, the meditative gurgle of sounds. Despite their visual delicacy, the prints survived more than 150 years because of robust chemistry, composed of a mildly photosensitive substance of potassium ferricyanide and ferric ammonium. Paper coated with this emulsion achieved an insoluble prussian blue dye print when exposed to UV Rays. Separated by a century, Anna Atkins and the photographers two stories above her share a love of alternative photographic process. 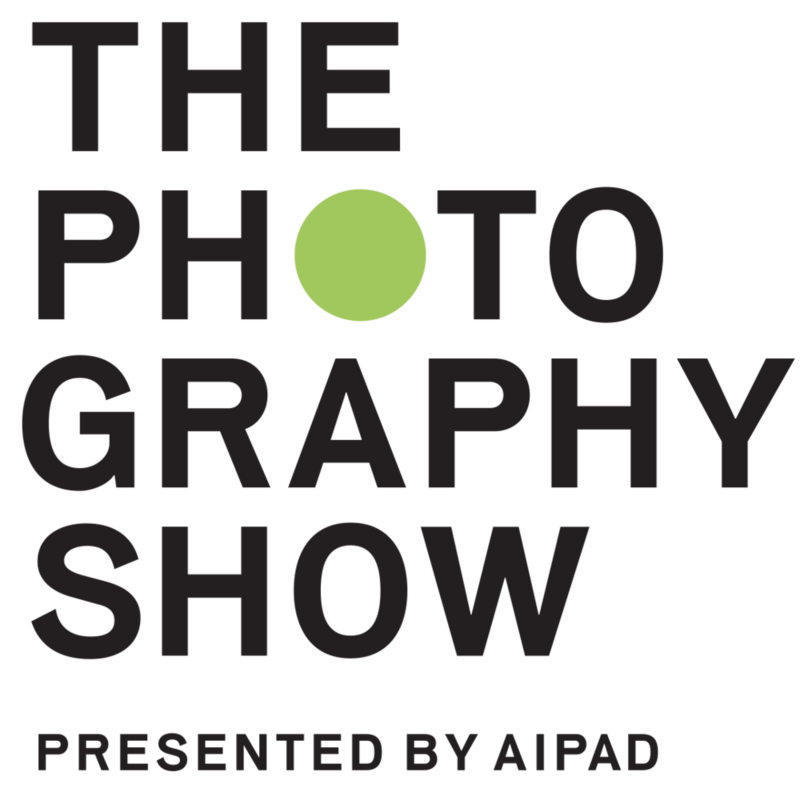 Mona Kuhn, Erica Baum, Katharine Hubbard, and Mike ware are among some showing work. The artists consider Anna Atkins’ cyanotypes in relation to contemporary art, reviving labor intensive techniques to create introspective pieces of art. 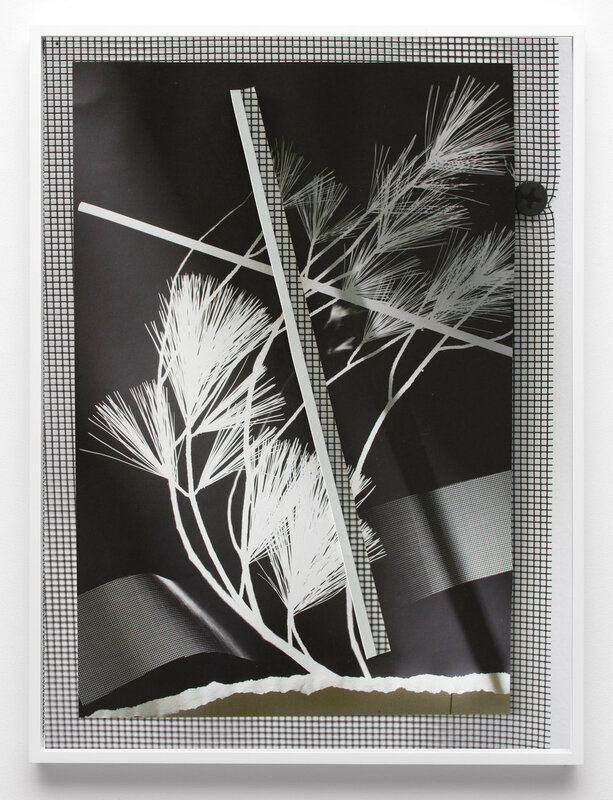 Roy Arden, for instance, prints impressions of industrial materials on found cardboard, while Letha Wilson’s constructivist photograms follow the aesthetics of Moholy Nagy, Adam Fuss and Man Ray. Overall a thoughtfully curated, enchanted exhibit not to be missed.